This blog uses affiliate links. Please read my disclosure policy. Getting kids interested in gardening and spending time with their hands in the soil is a great way to get them excited about nature study. 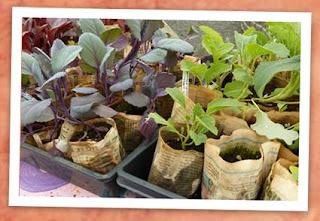 The Book of Gardening Projects for Kids contains tons of unique gardening ideas. It also includes multi-seasonal outdoor activities, games, crafts, and delicious recipes that will entice kids to eat their harvests. This book truly captures the joy of the outdoors. The activities will get everyone off the couch and outside getting dirty. ". . . imagine if you were able to spend time in this place every day, year after year. Envision watching this place grow and change over time, just as you grow and change. What impact would it have on your life? How might this place influence your perspective, your decisions, your sense of yourself and the world? This is the gift of the family garden. As we harvest vegetables, run through the sprinklers, or gather with friends to celebrate the apple harvest, the family garden is a place where—day after day, year after year—we are reminded of our membership in the intricate web that connects all living things" (p. 11). Get ready to have fun outdoors and share your love for gardening with your kids. 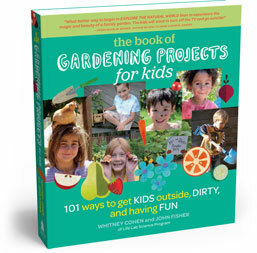 The Book of Gardening Projects for Kids is a step-by-step guide for sharing all sorts of outdoor projects with your kids. It's so important for people of all ages to learn an appreciation for nature and the great outdoors, and this book will give you just the inspiration you need to get everyone off the couch and outside getting dirty. The Book of Gardening Projects for Kids contains tons of unique gardening ideas, as well as multi-seasonal outdoor activities, games, and crafts, plus some delicious recipes. My favorite part of The Book of Gardening Projects for Kids is the way it encourages family togetherness. The activities are designed to nurture time spent together. 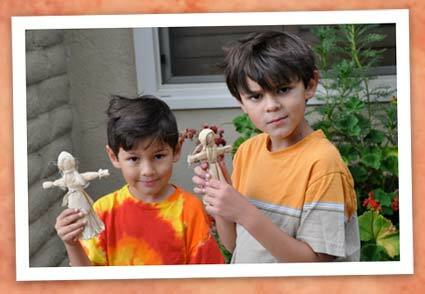 In fact, the authors state, “the natural joy we have witnessed in families as they explore and work in the garden together is what inspired us to write this book” (p. 15). Regardless of your budget or space constraints, you will find many creative ideas that “require minimal time and preparation and yield maximum fun” (p. 15). Written by educators Whitney Cohen and John Fisher, The Book of Gardening Projects for Kids truly captures the "magic and joy of outdoor exploration." In addition to the main index at the end of The Book of Gardening Projects for Kids, there is also an index ingeniously divided into specific topics. These topics include titles such as “Best Activities and Recipes for Toddlers” and “Best Activities and Recipes for Teens.” The authors and publisher did a stellar job of covering even the smallest details, making this book an easy reference tool and a must-have for me. My kids and I will continue working through the projects this year as part of our nature studies. I am provided review copies of books and products for some of my reviews, which are noted at the bottom of those posts. All of my posts are my honest opinions. Even when review copies are provided to me, I am not required to give a positive review. All text and images on this blog are property of Learning Table; however, I appreciate any pins or shares as long as they link back to Learning Table Reviews.